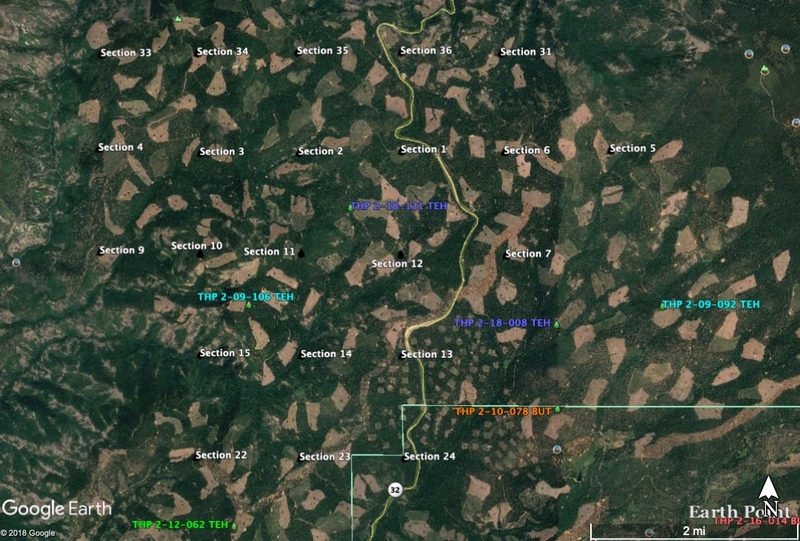 THPBlog: Sierra Pacific Industries to clearcut log NE of Chico, CA by Highway 32. 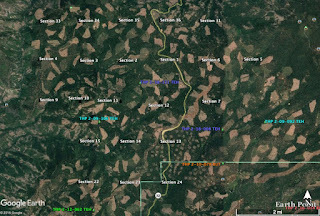 Sierra Pacific Industries to clearcut log NE of Chico, CA by Highway 32. This THP is about 25 miles NE of Chico, CA, 4 miles NW of Butte Meadows, CA by Highway 32 and the Polk Springs Roadless Area (sections 4, 9, 22 and 33 are adjacent) at an elevation of 3,260 to 4,360 feet. Sierra Pacific Industries is planning a mostly clearcut tractor and cable logging operation on steep and unstable slopes in ponderosa pine, sugar pine, Douglas fir, incense cedar and white fir forests. There are 5 landslide terrain sites in the THP area including; a landslide within unit 21 adjacent to a class III (intermittent) watercourse area, an unstable area adjacent to unit 24, and 3 landslide terrain sites within units 3, 4 and 25. SPI is planning to use ground based equipment in areas designated for cable logging inside units 6, 21, 26, 35, 45 and 62, and use an existing skid trail within a class II (mid sized) watercourse area to access a landing inside unit 23. 45 road drainage sites are planned for work including rocking, dip construction, ditch cleaning and culvert repair/replacement. A goshawk territory is located within 1.3 miles of the THP area, and between 1991 and 2017, seven California spotted owl sightings were recorded in the THP area. There is an historic report of a Sierra Nevada Red Fox sighting in section 13, and a foothill yellow legged frog was reported in section 26. Shieldbract monkeyflower was found in units 19, 21, Sanborn’s onion was found in units 21, 25, Hall’s rupertia was found in units 25, 26, 27, along roads 420A and the H Line Road, western catchfly was found in units 4 and 5, and Butte County morning glory was found in units 58 and 63.